Country Club living without all the costs and NO HOA. 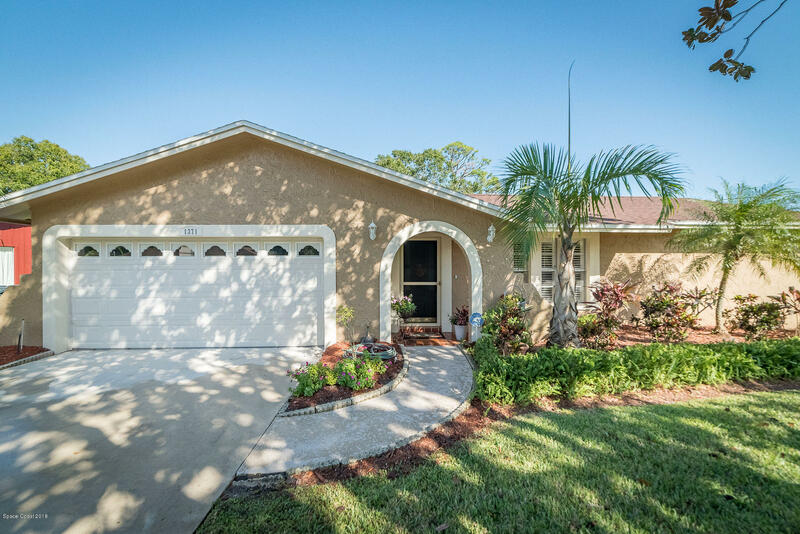 Beautifully remodeled home on hole 2 of the Rockledge Country Club golf course. Where else can you live on a golf course and not have an HOA fee...right here! Unbelievable find! Your back yard with view of the pond as well as golf course. Home is over 2,000 sq ft with new roof 2 years ago, porcelain tile floors, crown molding, stainless steel appliances, granite counter tops, lots of natural light. Freshly painted, move in ready 4 bedroom, 2 bath home. Open concept living makes it nice for entertaining. Convenient to restaurants, schools, entertainment and only a few miles from lovely Cocoa village. 15 miles from the Cocoa beach and about 45 minutes to Disney parks, 20 mins from Patrick Airforce Base or Kennedy Space Center.